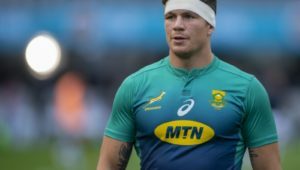 Ruhan Nel may not have been selected for Saturday’s match in Port Elizabeth, but he boasts an all-round skill set that can add a string to the Springboks’ bow in the long-term, writes former Bok scrumhalf NEIL DE KOCK. What’s done is done and you have to go out there and do it all again. The Wallabies pose a totally different challenge to the All Blacks and, in the general scope of things, Michael Cheika’s men are dangerous because they are desperate for a win. The seventh-ranked Australians are in a rut, their coach is under massive pressure and with that usually comes an on-field reaction. However, the Wallabies are vulnerable at the moment – rock bottom of the Rugby Championship – and the Springboks need to prey on that vulnerability. The Boks have to ensure that their start, which has eluded them over the past couple months, is improved upon and the seed of doubt is sewn early on in the encounter. Attack has always been Australia’s strength and it’s no different now. They have ball players all over the pitch – the likes of Kurtley Beale and Israel Folau can wreak havoc – and it’s about putting them under an incredible amount of pressure and forcing mistakes out of them in order to get the result. Despite the fact the Springboks conceded six tries against the All Blacks, on a defensive front, I have observed that the men in green and gold are getting off the line harder, up into opposition faces more often and trying to close off. When the Wallabies are on the front foot offensively, they are probably equally as dangerous as the All Blacks. However, if the Springboks utilise their ‘hard-up’ defence to good effect and negate the Wallabies’ multi-phase play and gainline ascendancy, they stand a much better chance of forcing turnovers and launching their own attacks. As they underlined against the All Blacks, the Springboks have equally dangerous attackers out wide from turnover ball. The call-up of Nel to the 30-man Springbok squad is a credit to the sevens system and will add to South Africa’s backline options. It must be a breath of fresh air for Rassie to get a player like Nel into the mix because he brings a different skill set and has probably been working at a million miles an hour. Nel deserves the recognition he’s getting and hopefully he is afforded the opportunity to showcase his skills at some stage. I agree with Springbok assistant coach Mzwandile Stick, who drew the comparison between Nel and my ex-teammate Marius Joubert. Like Joubert, Nel boasts a real physical presence, but has the ability to identify space. 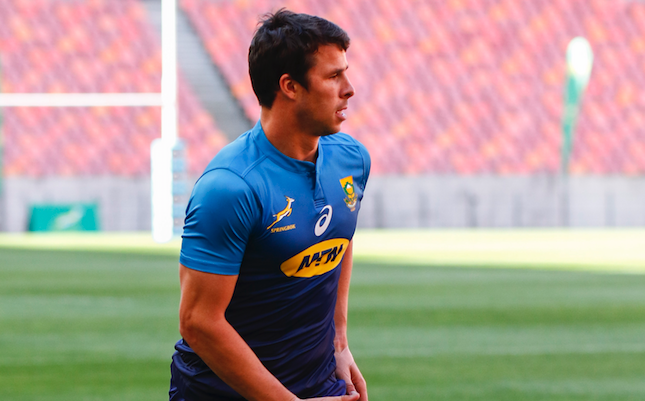 Rassie has clearly seen an all-round skill set from Nel, which he finds very attractive. I have attended a couple Blitzbok training sessions before and the primary focus was on honing their skill set and improving their play – that is the attitude they take to every skills session they partake in. They are there to get better and not pass the time. From a conditioning point of view, it seems to be easier for a sevens player to make the transition to the 15-man game than the other way round. By all accounts, sevens players are fitter and better conditioned than their fifteens counterparts because they operate at breakneck speed and require high work rates albeit for shorter, but sharper periods of time. At this stage, the 15-man game is appealing for many reasons to sevens players, who boast an all-round skill set like Nel. When you combine that with an unbelievable work ethic, it’s a recipe for a long and fruitful career in fifteens.